Roofs that have a porous surface, such as wood and asphalt shingles, have a tendency to develop moss on roof. What can you do to prevent this happening to your roof? If you don’t want to replace the roof, you should clean the entire surface with gentle raking and then treat the roof with a chemical treatment mixed correctly and done by a professional. This sort of care, performed regularly can work very well to remove moss on roof and prevent its return. If your existing roof is of a material that can be painted, there are types of paint that have a metallic or mineral content that will help deal with the problem of moss on roof. Again, this is a solution that will have to be tended to regularly. Your roof has a tremendous amount of exposure and takes a beating from the elements day-in and day-out. Any maintenance measures or treatments used on your roof will need to be repeated at least annually and possibly two times a year, dependent on the shade and vegetation your home is surrounded by. In the long run, the best thing to do to prevent moss on your roof is to start out with a roofing material that is moss resistant. Among moss resistant roofing materials are chemically treated shingles that are algae resistant and metal roofing, such as aluminum sheeting, galvanized steel and copper. In fact, metal roofing is so effective at preventing moss on roof, that the addition of metal strips to the peak of a non-metal roof will help kill off existing roof moss and prevent it from returning. If you don’t like the idea of metal roofing, you can get specially treated roofing shingles of a variety of types that will help control moss problems. Shingles that are intended to deflect moss on roof are called AR Shingles. The acronym stands for “algae resistant”. This type of shingle material is treated with granules of copper or zinc to retard moss growth. When it comes time to replace your roof, be sure to look for materials with the AR designation to help keep the moss off your roof. 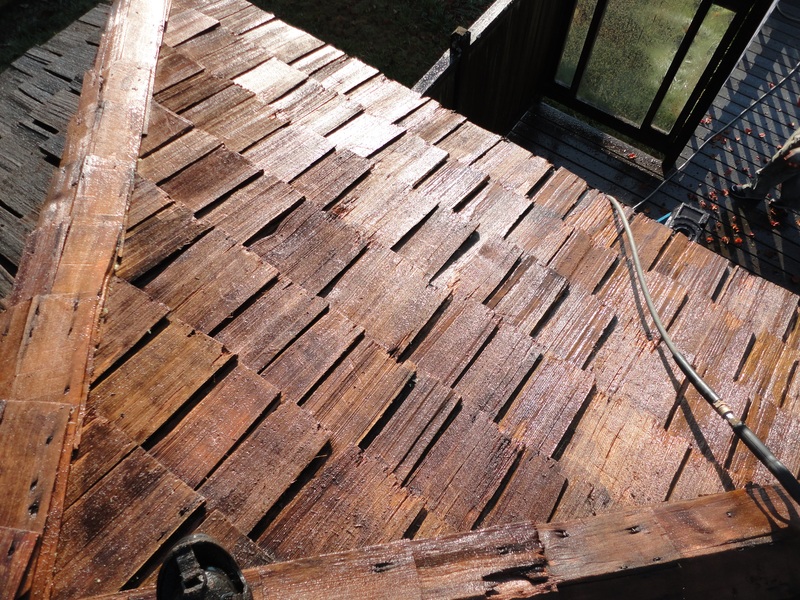 Cedar Roof Oiling is it Necessary? Why Should I Oil My Roof? There is a big debate on the benefits of oiling a cedar roof. A comprehensive and great research paper was written by OSU students, referenced in EC1271, September 1988. Their exhaustive research neither discounted nor encouraged oiling of cedar roofs. As stated in EC1271, originally Cedars mass only contained 3% of its weight in oil. With such a small percentage of its weight to begin with being oil, the debate on replenishing is faulty. We are not stating that the oils should be replenished. We are advocating oiling a roof in Seattle to prevent rapid expansion and contraction caused by UV rays and rainwater. 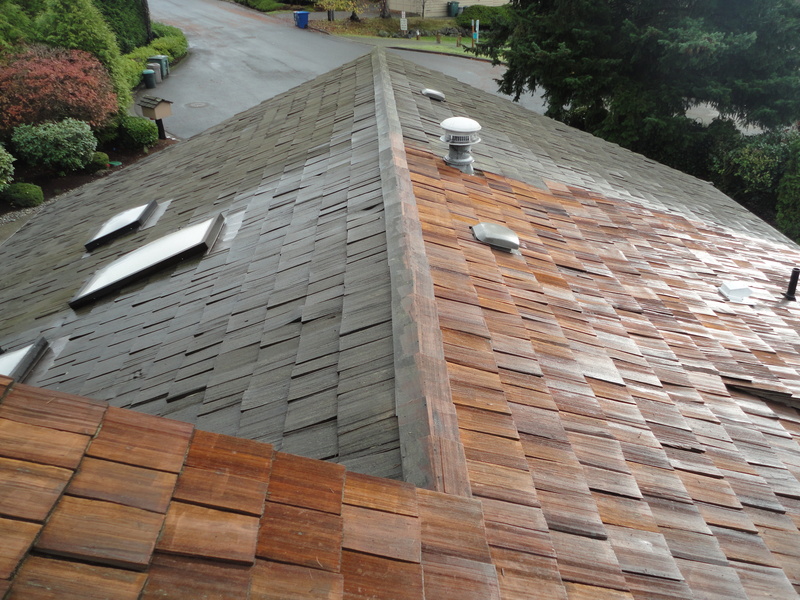 The stress of shrinking and enlarging cause wood to crack, it is our belief, that oiling a roof stops the expansion and contraction from causing damage to the shingle. The oil allows natural contraction to happen without stressing the wood it is applied to. What Product to use when Oiling a Cedar Roof in Seattle? Its ability to mix well with solvents. 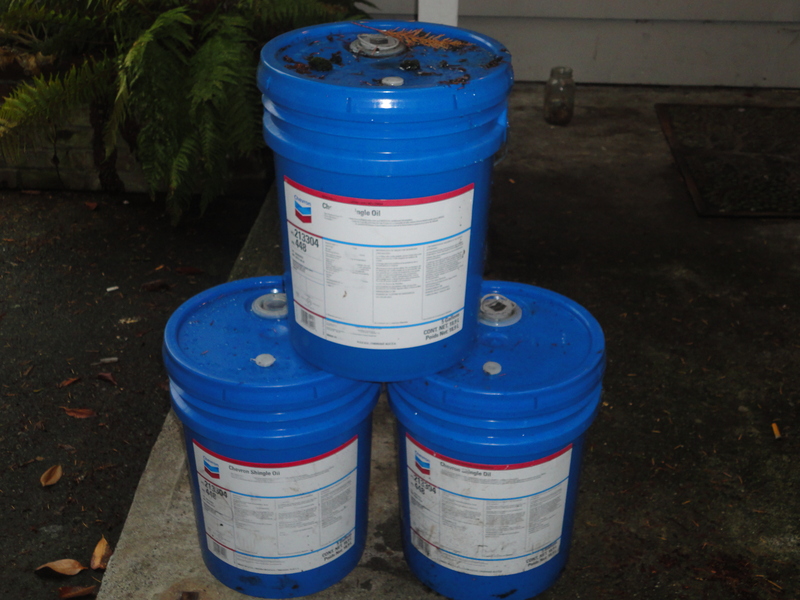 Its lasts when applied: many homeowners have said their oil treatment lasts 5 years or longer. It’s easy to apply. A backpack sprayer with a round tip or flat headed tip work great. There is no need for paint sprayers. Its ability to be mixed with stain. Its long established reputation is a major factor on why this is our product of choice. We have used other oil products but they don’t lay down as well as Chevron. When mixed with a solvent at 1 to 5 gallons of shingle oil the flow of the oil is even. The vast majority of a roof can be covered in one solid, thin application. 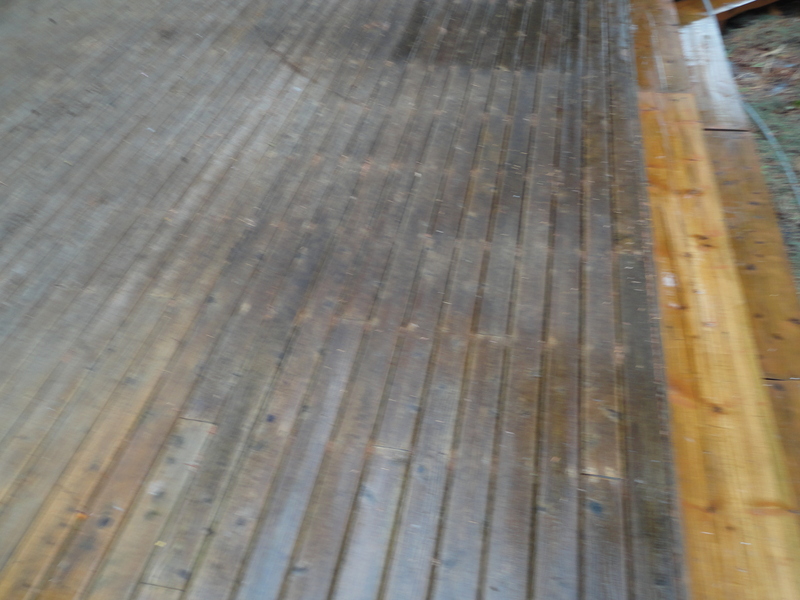 A major problem when oiling a cedar roof is over application that clogs the pores of the wood. 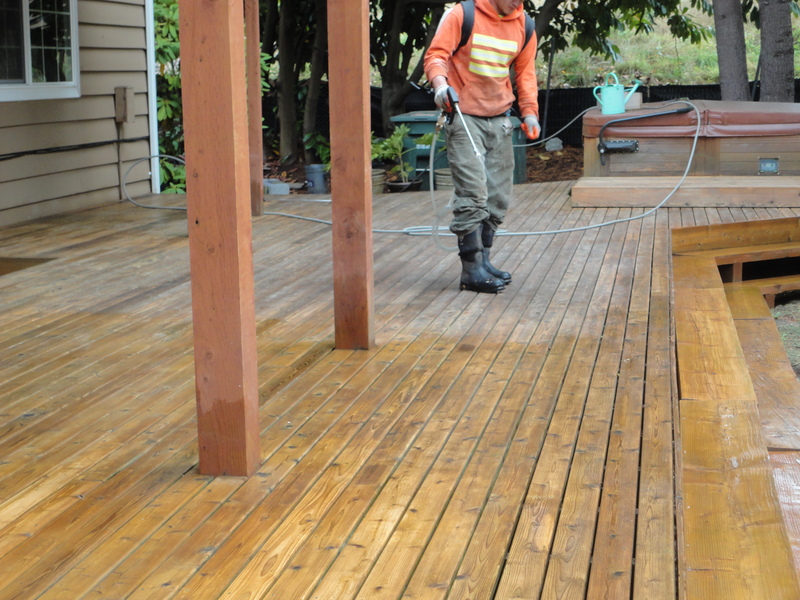 The oiling needs to be laid down evenly and uniformly in a thin manner. Chevron in our experience, when mixed correctly, accomplishes this. When deciding to oil your roof, it should be done from the day it was installed. The ability to repair a cedar roof once the damage has been done is nonexistent. Maintenance is major issue for wood roofs. 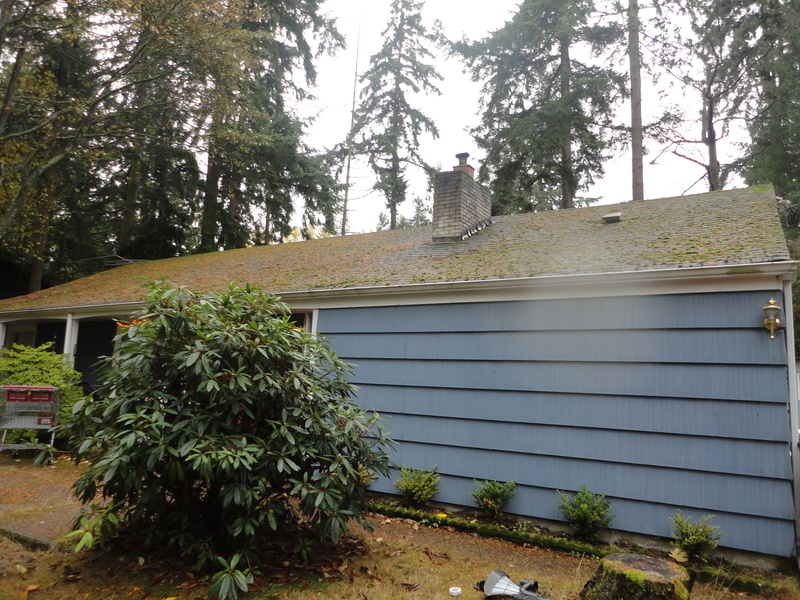 There are ways to treat cedar for moss that differ greatly from the way we would treat a composition roof. On average a 1200 square foot roof area costs from $16,000-25,000 dollars, according to homewyse. Yearly maintenance can run you about $400. When deciding to purchase a home with a cedar roof or having it installed, budgeting for maintenance should be the first thing you do. The unexpected consequence of not maintaining your roof, can seriously hinder your economic circumstances. Should I oil my roof? Every butchers block made of wood, instructs the buyer on oiling with mineral oil. The exact procedure should be applied to cedar shakes. 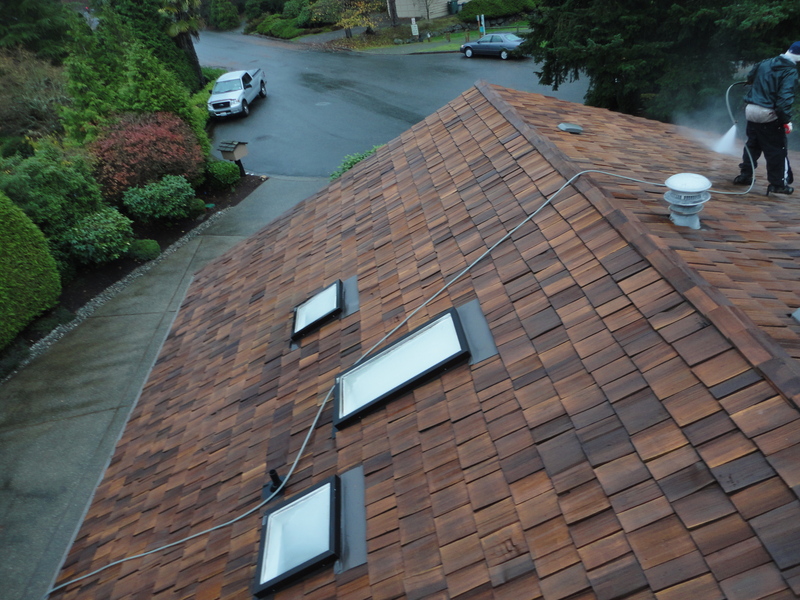 You can periodically clean your cedar roof in Seattle with a power washer. The top grey layer of exposed cedar is removed and you’re left with a fresh new layer. This should only be done for maintenance. 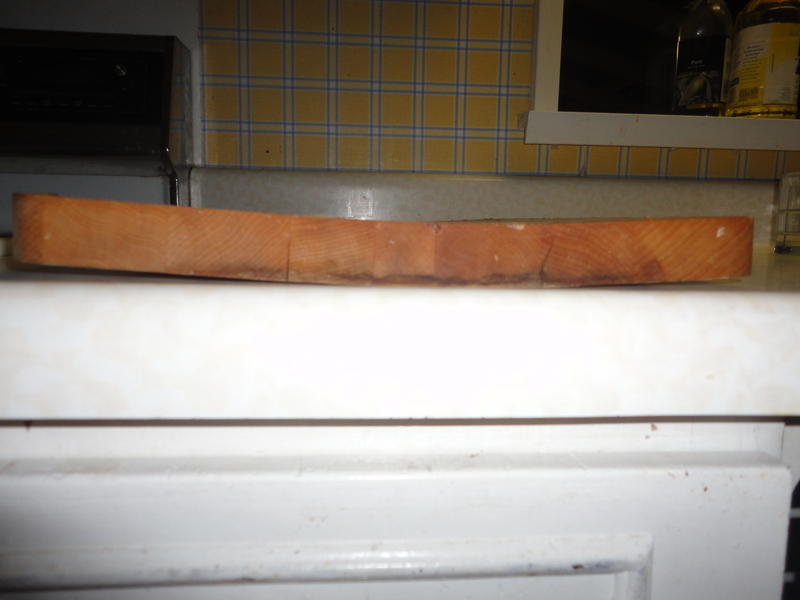 On average ¼-3/16 inch of cedar is removed per cleaning. When deciding to apply stains and oils, keep in mind that, the sun will break down any coating or stain applied, eventually. In summary, cedars appearance if left outside in any sunlight: is grey. This is its natural color and there is no product on the market today, which can withstand 365 days of rain and sun a year. Losing 1/5 of your roofs life in one cleaning, should only be done in extreme circumstances .When excessive moss and fungi have been left untreated on your roofing, it is time to power wash. You should go in knowing that you are power washing to remove debris and moss that’s accumulated. Yes your roof will look great. This is only temporary though. There is no way short of trapping your entire roof off; to prevent the weathering caused by UV exposure. We are there to remove debris and moss and apply a moss control agent. This should be done at most once every 5-7 years. 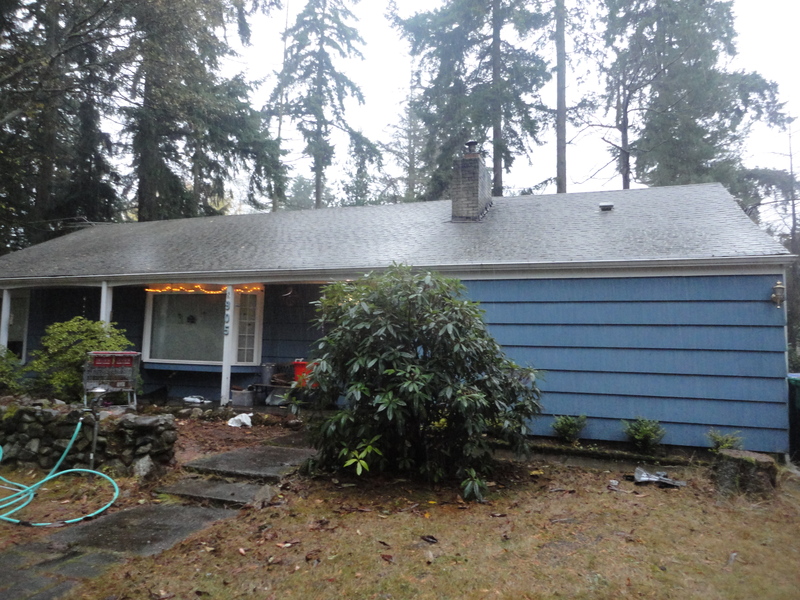 Our process for cedar roof cleaning in Seattle is to use a safe organic compound known as Potassium Salts of Fatty Acids.Mixed with some simple household detergent to make it stick, this chemical blend naturally kills all moss spores.